PRIMER: 'Special Access' Wires and 'Switched Access' Wires are the Same Wires. 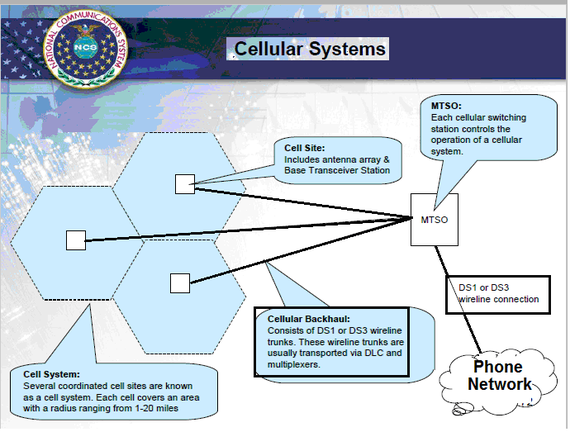 Embrace your inner nerd: Explore the phone network infrastructure. And don't let the 'telco jargon' confuse you. 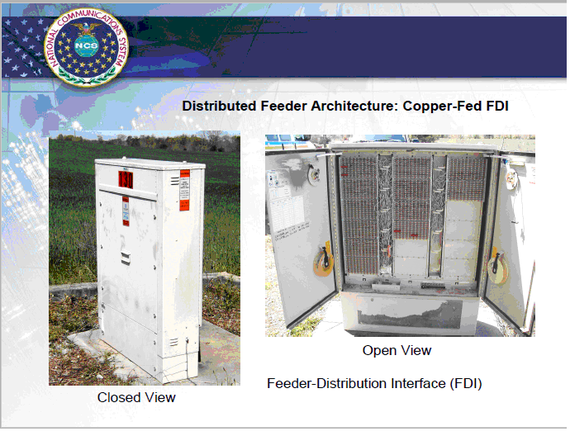 FCC: What is Special Access? Update: During the closing of this article, the Consumer Federation of America released a report claiming that abusive special access pricing has cost customers and consumers over $150 billion in overcharging and economic harms since 2010. I'll address this and other developments in the next article. Diagram: The copper wires used for special access lines and phone service (switched access lines) are the same, identical copper wires. 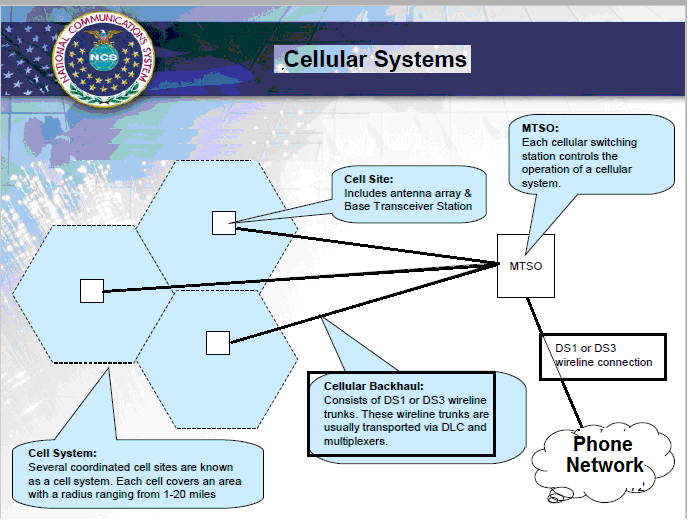 NOTE: Click for a great primer & presentation on the telecom infrastructure; BellSouth's (now-AT&T) "National Communications System (NCS)" training manual. In a previous article we detailed that the phone companies have manipulated the accounting of lines-in-service to only include a small subset, specifically, basic POTS, plain old telephone service lines, while leaving out that the majority are business broadband and data lines, known as "special access". Special access are also the wires used to connect the WiFi hot spots and cell sites as almost all wireless selfies or videos end up on one of these wires. In fact, in 2015, the FCC found that special access services was a $40 billion market -- but listed zero access lines. And in another article we detailed Verizon's claims and plans. To paraphrase: Since everyone has been dropping the lines, these wires should not be maintained, but simply shut off; in areas where the copper wires will be replaced with fiber optics, the shut off is for 'all wires', including special access, harming competitive providers offering services that cannot or Verizon will not permit to be provided over fiber optics. And in rural areas, the plan is to shut off the copper and force customers onto more expensive wireless connectivity with data caps. Simply put -- the manipulated accounting is also manipulating public policy and the critical part is - every FCC and state proceeding to shut off the copper wires based on the false assertion that the copper networks are unprofitable now needs to be reopened and Verizon's specious claims investigated before any more shut offs are approved by regulators. And, as we discussed and documented using Verizon NY annual reports, we found that the company has manipulated its financial accounting so that the majority of expenses were paid for by the local phone customers; special access and other services used by the affiliate companies, such as Verizon Wireless, got a free ride or received major financial perks via cross-subsidies. It, too, needs immediate investigation. Embrace Your Inner Nerd: Let's Get Physical - About Infrastructure. Brace yourself: No one appears to know that a wire used for special access (also known as 'non-switched') and a POTS, 'switched' wire are the same thing. There are some differences in the technology being applied to the line or the connection to the line, but the wiring is the same. The rest of this article will take you into the innards of the phone network infrastructure - the actual wires of the state regulated utility. This wire is actually a series of connected wires, like having a number of extension cords, instead of one very long single wire. And while the copper wires (or fiber optics) are used for different purposes, the exact same wiring is used for regular phone service as well as 'special access'. F1 Lines: Feeder Cable: The wires leaving the CO are fat bundles of wires that go into the neighborhood, and they are known as F1 lines. 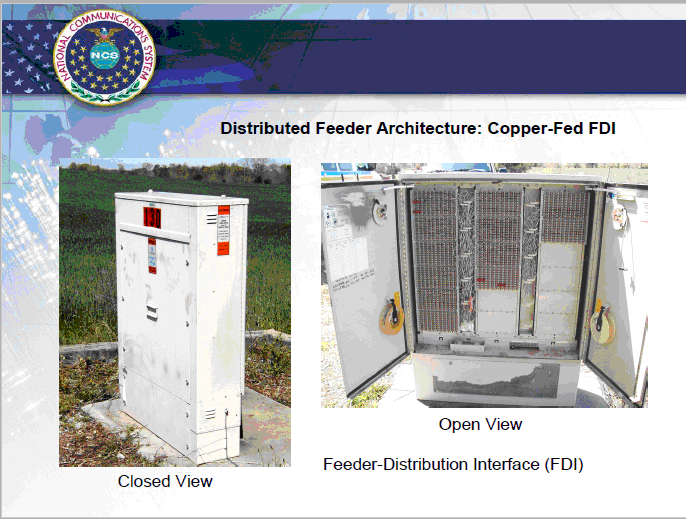 Cross-Connect Box:Technically called a "Feeder Distribution Interface" box, these wires end up in a box known as a cross-connect. - Nothing fancy, they connect one wire to another. F2 Lines: Distribution Cable: The fat bundle of wires that goes into this box is then split up into smaller bundles of wires, which then end up going down your street. And you've most likely have seen these cross-connect boxes, as they are everywhere -Look familiar? Your Home or Office: and finally it goes to your home or office, through some other wires, known as a 'service wire' or 'drop line'. MAIN DIFFERENCE: Special Access Vs Switched Access is about what it connects to, not the wire itself. In this basic model, in the central office, the wire either connects to a 'switch' or to a cross-connect device for special access, also known as 'non-switched'. Switched Access Lines Provides "Dial-Tone": The wire from your home goes to the central office and connects to a 'switch' that supplies "dial-tone"; (It is the actual tone/sound that you hear before you dial a number.) That switch then connects to other 'switches', such as the hand-off from the local phone company to the company handling a long distance call to another location or to a cellular carrier. The wire also carries a small amount of electric power so that doesn't go out when the power in your building, for example, goes out. Special Access Lines Goes to a Cross-Connect Box: Also called 'Non-Switched' - the wire does not go to a dial-tone switch but to a 'cross-connect' box - which joins two lines. This is commonly known as 'point-to-point' or "private line". And this cross-connect doesn't have to be in the central office, but can be in a box or hanging on a pole. That's it. The wiring is identical, just what it connects to is different. In the case of an alarm service that goes to the police station, the connection would tie together the line to the police station and the line from your home, but the physical wires are IDENTICAL. Adding Technology to the Wires Changed its Regulatory Treatment and Accounting. This is a picture of the addition of tech boxes to offer a number of services, from DSL, to business special access DS1 and DS3 services. 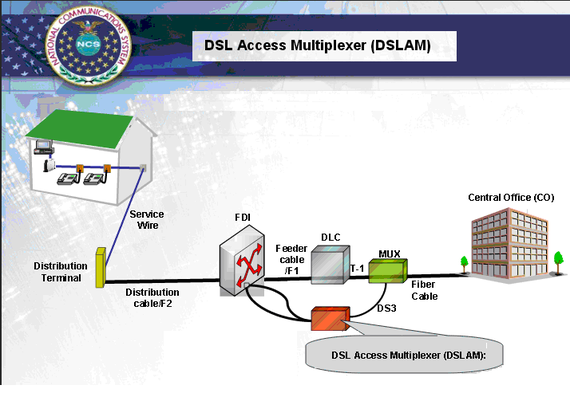 And it is the boxes added to the wires, such as the "DSL Access Multiplexer", (DSLAM), or a "MUX", for 'multiplexer', that changes the use of the wires. 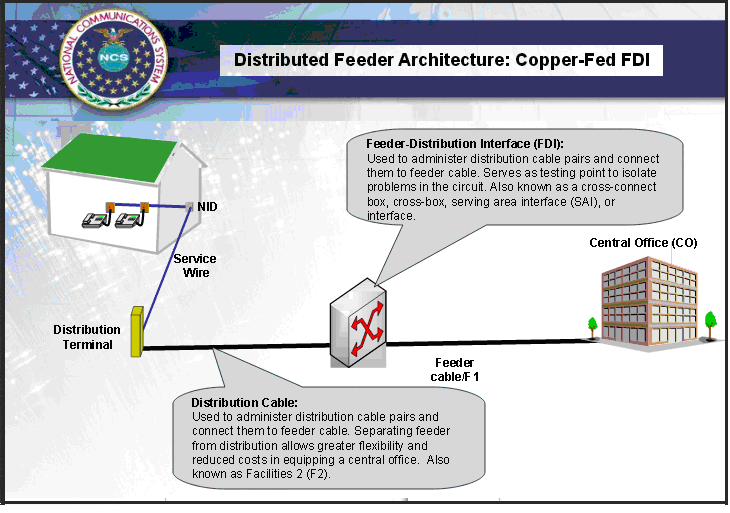 And in this diagram, the first leg of the wires has been replaced with fiber optics -- which has been a standard practice over the last two decades, even as part of the copper-based utilities. Changes in Regulations and Accounting: Under this model, all DSL, and IP services, like U-Verse, including the VOIP telephone service, are not counted as lines, even though they use these wires -- causing a drop in the POTS access lines. 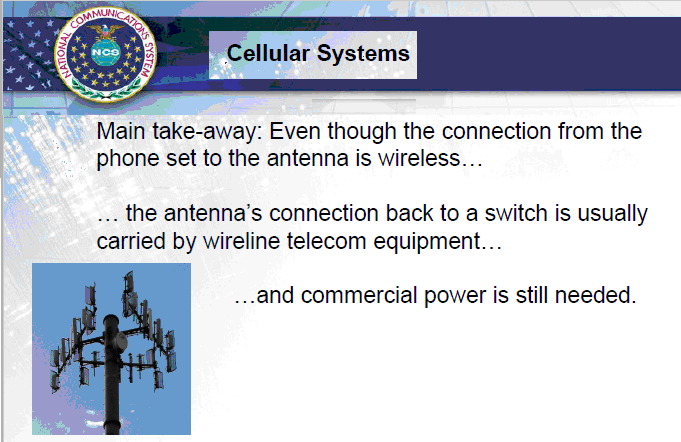 Wireless Service is Actually a Wired Service. 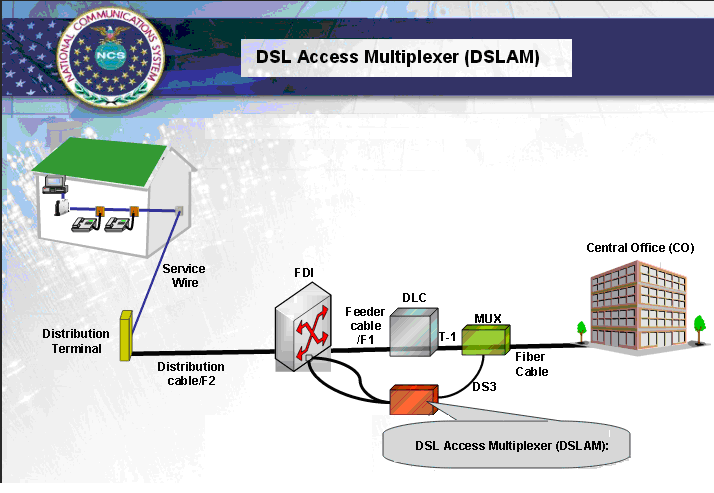 This next diagram shows, clearly, that the wires, special access wires, are part of the design of the wireless networks. 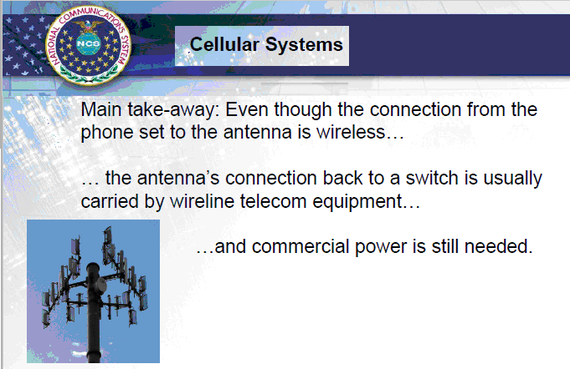 As the "Main Take-Away" of the Presentation States: Wireless "Cell Phone" Service is Carried By Wireline Networks. Bottom-line: The wires used for special access and the wires for phone service, known as "switched" service, are identical, but the majority of lines -- special access -- are not counted and the only accounting is of "POTS", plain old telephone service, which is a subset of the actual lines in service. 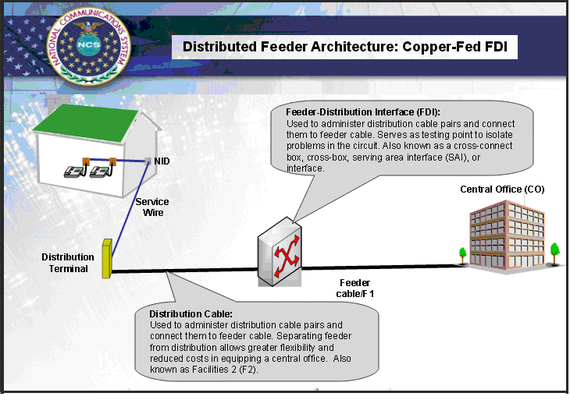 Why one set of wires would not be counted, and how it has been used to 'shut off the copper', not maintain the copper and not upgrade whole areas of the US, clearly needs to be audited and investigated immediately. As we asked in our last article: How many actual copper lines, much less fiber optic access lines are in service in America today?